Geek Pride Recommends? Definitely yes. Go watch it now. Geek Pride watch 5 episodes of an anime and write a review about them. 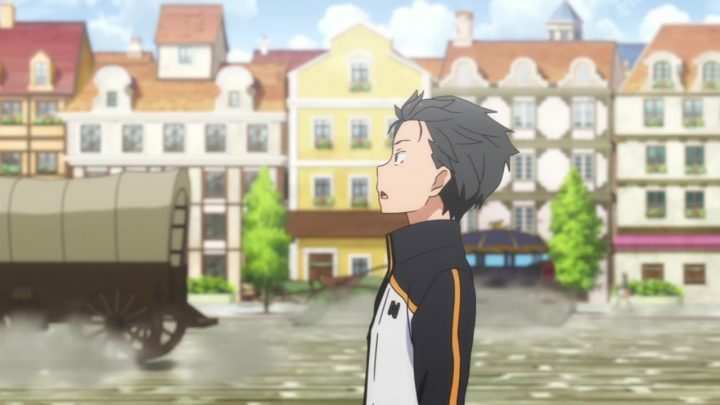 I chose to review Re:Zero – Starting Life in Another World (Re:Zero) as my first Geek Pride Animeniacs Review, because it’s one of the best new anime I’ve seen this season. The series opens following our protagonist Natusuki Subaru who is a ‘shut in’ nerd transported to another dimension/world/universe whilst on his way home from a convenience store. 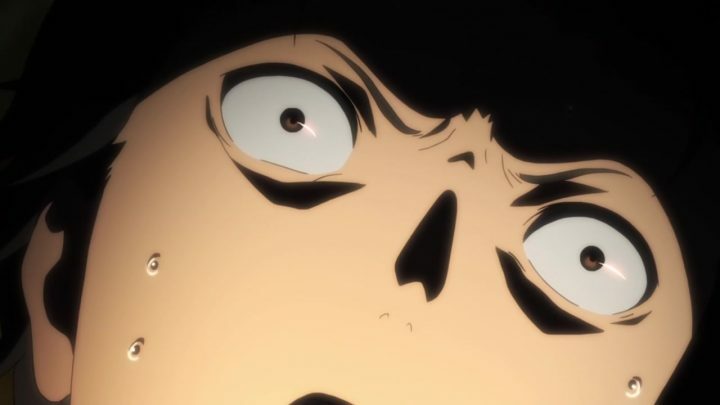 The hour long opening episode sets up the rest of the season, as we see Subaru try to come to terms with his predicament. At first he assumes he’s in some sort of game, then realises that not only are the people around him not NPCs, but he’s not impervious to pain either. Worst of all he can be killed – something both painful and brutal to watch – only to reset back to when he first entered this world with all the memories of what happened. And so the puzzle of how Subaru must figure out how to save himself and the others around him to progress beyond their current fate, is put in place. It’s Groundhog Day with swords and magic; sort of. And we as viewers are along for the ride. If you’re new to anime, it’s worthwhile me saying that the ‘isekai’ genre where a protagonist is pulled into a fantasy parallel universe/game is a BIG trend in anime production, after the huge success of another series: Sword Art Online. So when I started watching Re:Zero I was expecting a fairly predictable retread of the same themes as the other anime I’d seen. Happily I was wrong. Re:Zero’s strongest point. 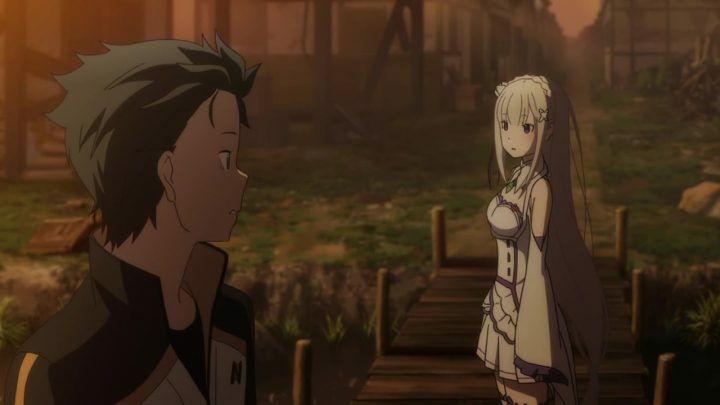 which distiguishes it from the others in this genre, are the twists and turns of it’s plot as Subaru attempts to cheat death/fate and forge a safe path for his friends and half-elf sort-of-love interest Emilia. The characters are probably the show’s weak point, with only Subaru (and probably Rem) as being particularly developed. Pretty much all of the supporting cast have very little to do beyond acting as foils for Subaru, and even his character arc is a bit of a mess. Fortunately, he’s an incredibly likeable character despite his numerous flaws. Whether it’s the awesome voice acting from Yusuke Kobayashi, or just his pervasive optimism, it’s very hard not to root for him. I definitely felt won over by the end of my 5 episode watch. The animation is very well done; modern, clean, colourful and consistent. The characters seem drawn to a high standard in every episode I watched. The world isn’t explained in any depth but there are all kind of colourful beasts, half-human half-creatures, magical folk both good and evil. None of it feels as though you’ve seen it before either, which is a feat in itself. I’m a big believer in the opening music of an anime indicating of how much I’ll enjoy the series (Full Metal Alchemist: Brotherhood I’m looking at you). Fortunately, both the opening and ending themes are strong for Re:Zero. The score music is pretty good too, lending to the atmosphere of the series as it slips between humour and tragedy effortlessly. Overall then, should you be watching Re:Zero? Based on the first 5 episodes (and I’m actually way beyond this), definitely see it if you’re into fantasy anime. It’s even worth a try if you’re not. The plot device of Subaru’s perspective resetting every time he dies has a surprising amount of mileage. and even when you feel as though you’re watching filler, the series can suddenly slip from light-hearted humour to horror. 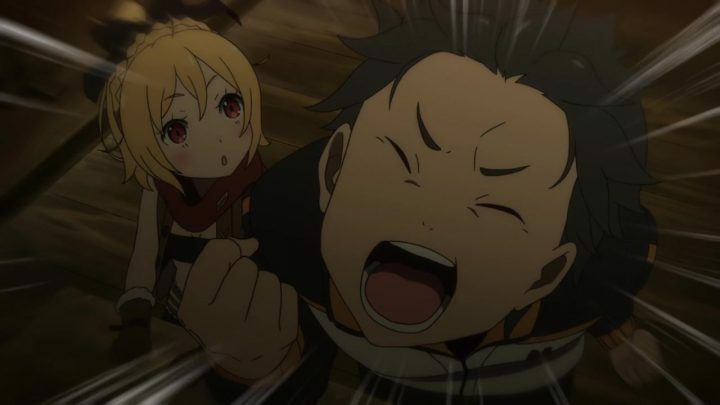 It plays like a lot of other anime in the ‘isekai’ genre, but then subverts it in a plot that rattles along with plenty of twists. The only downside really is the lack of characterisation and motivation for some of the key players. But Subaru’s charisma, and the interesting premise make up for it in spades. Re:Zero is available to watch now on Crunchyroll.